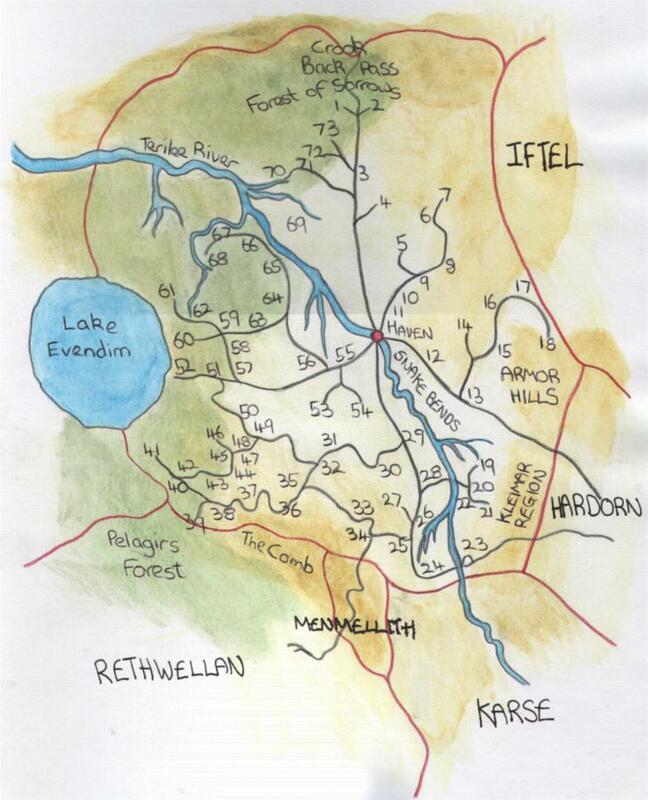 This is a map of Valdemar, drawn using much consultation of the maps in the Valdemar Companion. All details on the map such as topography and location names are the property of Mercedes Lackey. Black lines indicate main roads. Green indicates heavy forest and woodland.